Crunchy, light pita chips with just a hint of garlic and savory Parmesan cheese. 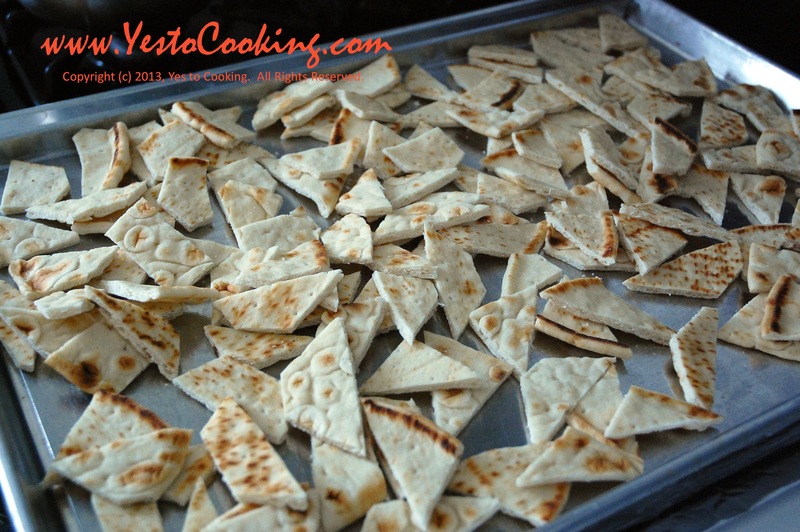 This recipe uses flatbread instead of the traditional pita bread for a lighter texture. Eat these as a quick snack or serve with your favorite dip. These chips can be stored in an airtight container so you can definitely make these in advance to a party. Check out our Chunky Guacamole recipe for a delicious dip inspiration! 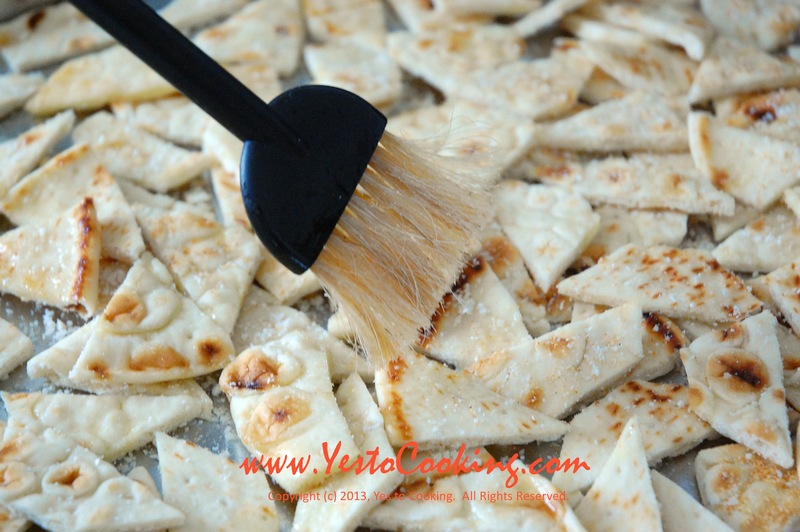 2) Cut flatbread into bite-sized pieces with a pair of kitchen shears. Evenly spread out pieces on a baking sheet. 3) Gently brush pieces with olive oil. Sprinkle half of the garlic powder and Parmesan cheese evenly over the pieces. 4) Flip over the pieces and repeat steps with remaining olive oil, garlic powder, and parmesan cheese. Lightly season with black pepper. 5) Bake for approximately 12 minutes until slightly golden and crisp. These chips can burn very quickly, so keep a close eye when baking. If chips are still not crisp after baking, turn off the oven and let the chips cool in the oven. The remaining heat will continue to cook the chips until done. 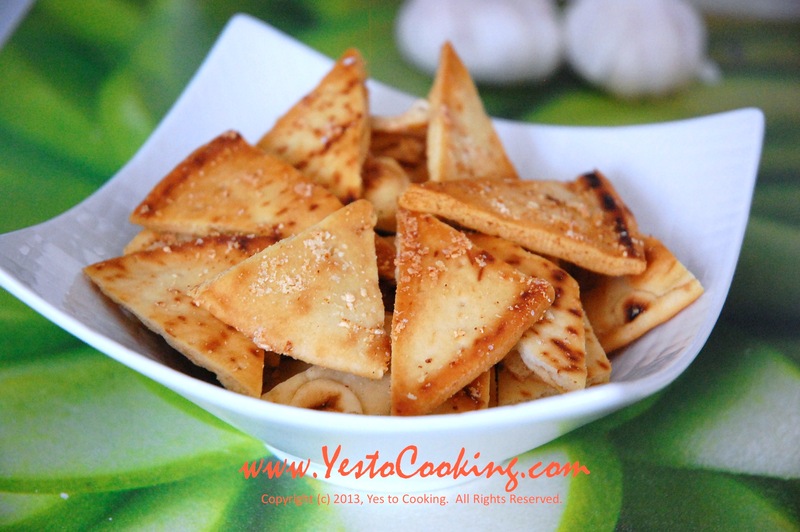 Tags: healthy appetizer recipes, healthy snack, parmesan garlic pita chips, pita chips recipe using flatbread, quick snack recipes. Bookmark the permalink. so simple. they look great. I think I can manage making these, but can’t guarantee I won’t eat them all myself. 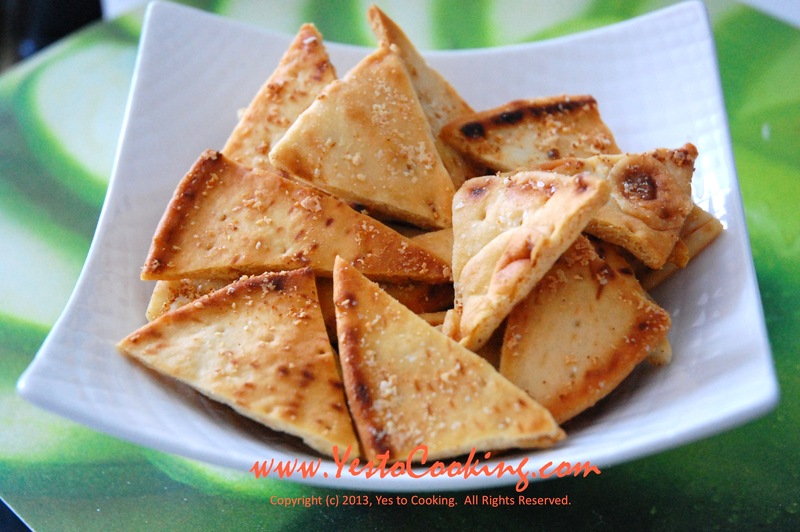 You making a great snack here, i had some left over whole grain flat bread in my fridge and i can’t wait to making this recipe…. Awesome, these are a delicious snack by themselves and are great with dips!